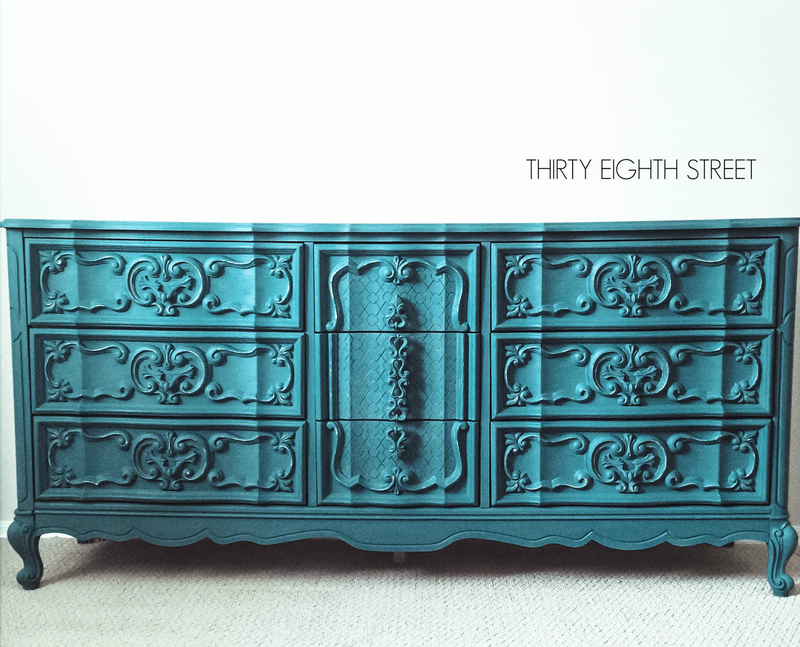 Stare hard at this next before we're calling The Natalia Dresser, a wonderful french provincial styled piece! What do you think about the color? Blah, right? 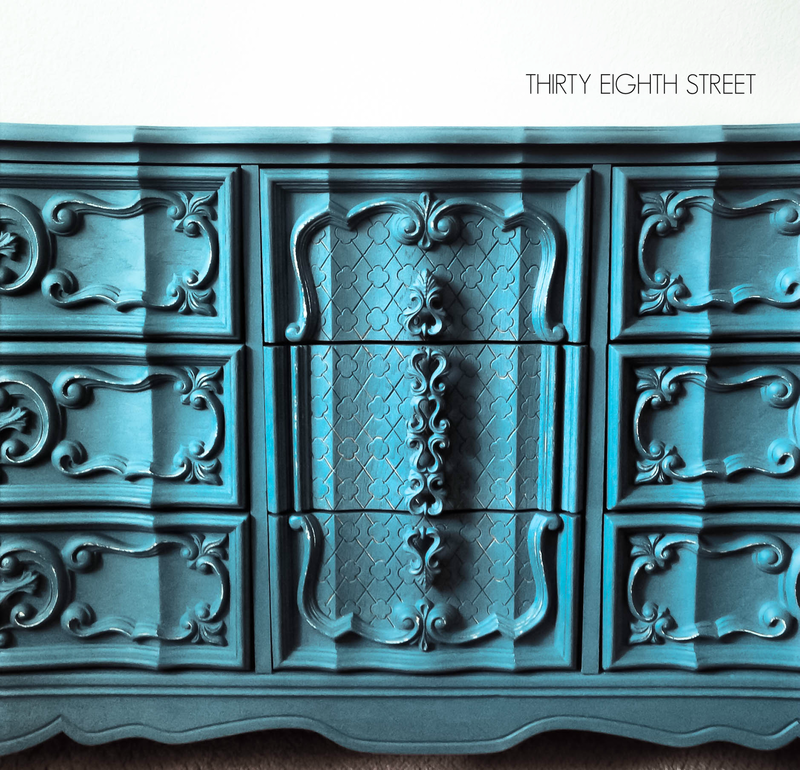 When you see a dresser like this at a thrift store does it make you want to stop and ponder about ALL the amazing possibilities you could do with it, or do you just keep on a truck'n? 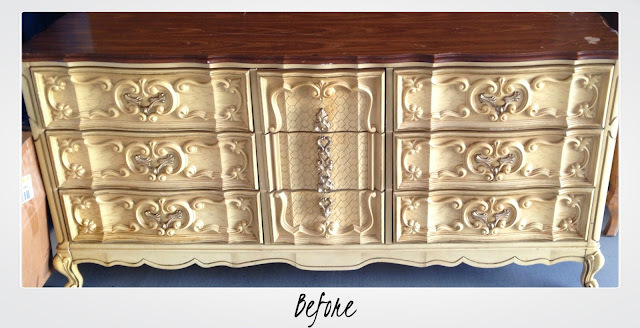 I hope that the yellowish finish on this piece wouldn't have been a detour for you! Does the furniture piece have good bones? Is the construction made of quality wood? Does the piece of furniture need repairs that I'm capable and willing to do? We selected the Natalia Dresser for it's intricate detail, the fabulous hardware and let's be honest... those legs are to die for. 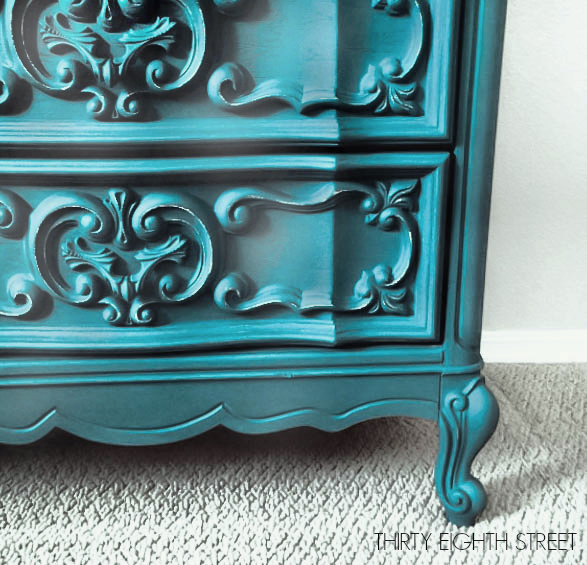 If you're drooling over this vibrant color, you'll want to choose Chalk Paint® decorative paint by Annie Sloan and mix one part Aubusson Blue with two parts Florence to create this rich and deep turquoise color. Remember what we started with?